OneZoom is a brilliant, interactive tool for understanding the scope and scale of the tree of life, including highlights for conservation priorities. This project has enormous potential both as a tool for increasing public knowledge and engagement but also as an aid to research in Conservation and Biodiversity. The best tool I’ve seen for exploring the tree of life on this planet. 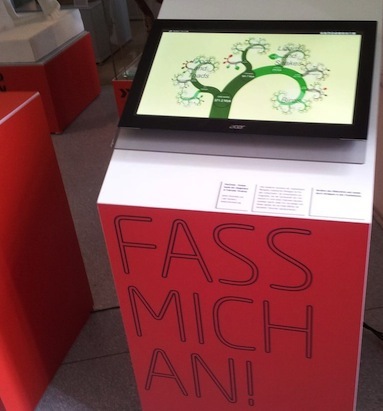 The best interactive tree of life ever! This will revolutionize how we teach and understand the Tree of Life. It is an invaluable tool for communicating the grand scope of life's history. It’s hard to overstate how clever it is at solving a basic limitation in our capacity to communicate large and complicated trees. Just to say how very much impressed  floored, even  I am with the OneZoom tool. I'd wanted to see something as simple to use as this since at least 1998. I teach the evolution parts of a huge (>300 students) first year general biology module, and some of the students initially think of evolution only in linear, “March of Progress” terms. OneZoom is a great tool to correct that misapprehension! I often use OneZoom in my class, the students love it. It's a mind-blowing project  I tend to see humans as one of many species of mammal, but the tree reminded me how much life there is beyond mammals, and indeed beyond vertebrates. It reignited my awe of evolution from undergraduate days 30 years ago. I have been telling people about how incredible OneZoom is all week! I have learnt so much browsing OneZoom and am ever grateful for this resource. It has been great seeing it "evolve" over the years, especially last year's large update. Many thanks for this way of accessing knowledge and keep up the excellent work! I am very impressed by the OneZoom project as a first-of-its-kind learning tool with tremendous potential … This is truly an incredible program that democratizes knowledge and makes it immediately tangible in a way that only years of study might have done in the past … I hope to see this project evolve and become as standard a tool of knowledge and education as Wikipedia is now. I can appreciate the value of this project to scientists and students and I have spent hours exploring the tree just for curiosity. A friend of mine just sent me your paper about OneZoom, and now I'm so excited I can't concentrate on anything else … Your idea of using fractal trees to do that is so revolutionary, and at the same time so obvious! I really love how they embrace the idea that the web is not made of electronic paper, and stuff like this lets us explore science in ways that we never could in books. To have all this information so readily available is a wondrous achievement that one might have imagined would only ever exist in the realms of science fiction. It is such an engrossing display I consult it daily. The fractal tree of life is one of the greatest inventions I have ever come across... If there was a single justification needed for technology, to show a competence not afforded by traditional media, here it is. I love the OneZoom tool - really easy to use and the visualization is great. I've just shared it with my 13 year old, who is a science geek - he loved it and is still playing with it! This seems to me like the perfect synthesis of new media. I wanted to congratulate the OneZoom team on the amazing interface and reference resource that is OneZoom. Amazing job! OneZoom is one of the most fascinating visualization projects I've seen in years​! 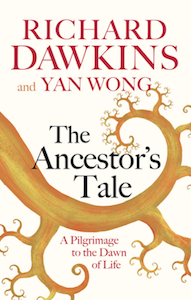 A Revolutionary Look at the Tree of Life… Charles Darwin would be proud. Your tree is the best thing to ever happen to evolutionary education. Keep up the amazing work. Your OneZoom website is the best visualization of data on the web, bar none… Years ago, attending a talk by Stephen Jay Gould, I asked Gould what the shape of a tree of life should be, what would it look like, and his answer wasn't satisfactory to me. I've thought about this problem for years, which is essentially a big data problem as well as one of finding the right visual concept. But you've done it. With fractals, of course! And my first thought was, why didn't I think of that? Thanks for an excellent application. The content is most interesting as well as appealing and the design is very good. A minor part of the tree now serves as the cover of my thesis "Travelling through time: Students’ interpretation of evolutionary time in dynamic visualizations” and has gained much appreciation. Thank you very much for your valuable contribution. I LOVE your phylogenetic trees! I am an undergrad at Middlebury College, and my professor just referred us to them. Now not only am I using your tool, but I'm also writing a paper about it. I'm a biology student at LSU Baton Rouge, and OneZoom is probably my favorite website of all time. …simply the most useful tool for understanding phylogenetic and evolutionary relationships. The OneZoom tree is a fantastic teaching tool for high schools. Students can use it as a resource for many activities in biology classes from evolution to classification. They love the zooming capabilities of the site and really enjoyed the links to Wikipedia pages for more information. I can almost hear the gasps of amazement when images become part of the tree. Thanks for a great tool. In my opinion, it is the best visualisation of evolution that's out there for the lay person. 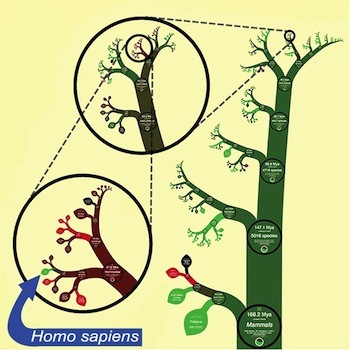 I teach evolution and fractals, and thanks to @OneZoomTree this just got much cooler! I read about OneZoom in Science Magazine - TERRIFIC PROJECT!! Thank you. This is something that middle-school and high-school science classes should see and use regularly. I'm addicted already, and happily browsing 1.8 million species. We are just one tiny leaf on the tree of life. Watch 160 million years of mammal evolution. Genius visualisation project mapping the entire tree of life into a single explorable diagram. This site is so awesome, I'm just gonna spend the rest of my day zoomin' and clickin' away here. Oh lord…amazing evolution-geek diversion. The growth animation is particularly pleasing to watch. The OneZoom software in its most basic form was released in October 2012. It's already been used as a source of natural history information by a million unique users. 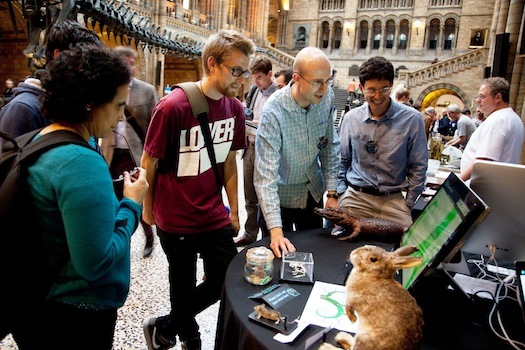 In addition, this software has been used in more specific science and education settings, including as an interactive display at museums and exhibitions around the globe. OneZoom has been adapted to solve other data visualisation problems such as human genealogy. OneTree, One Planet: a projection of a version of the OneZoom tree of life onto the Florida Museum of Natural History 16-18 November 2017. Please also see our page about installations of OneZoom on touch screen kiosks at public venues such as museums. Using OneZoom software in your webpage or at your exhibition? Please let us know so you can be listed here too.